WordCross – a new kind of crossword game! Today we release our new app WordCross. 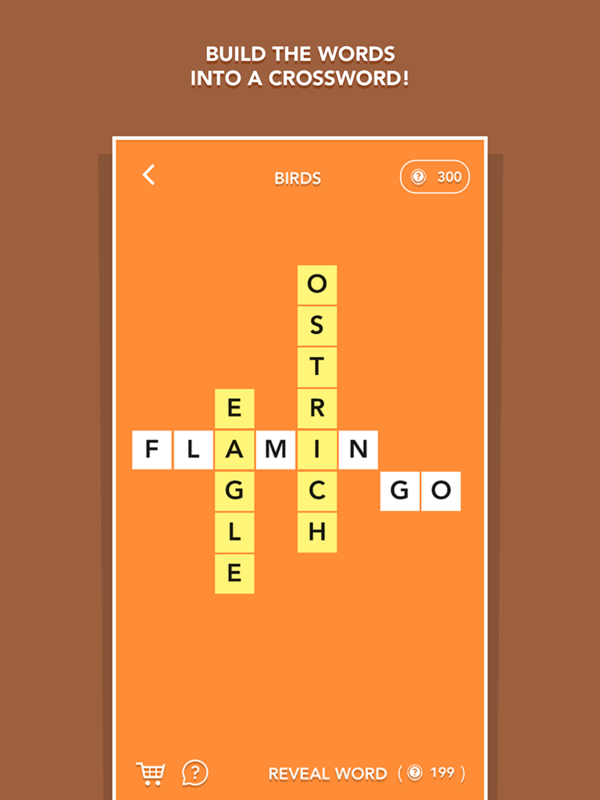 The game is a different take on crossword puzzles and will keep you entertained for hours! In WordCross, you’ll boost your brain to a whole new level of intelligence. With each level, you’re given a grid of scrambled letters. Your task is to build those letters into a themed crossword. Simply click and drag each letter piece to form the correct words, and then arrange them into a crossword puzzle! WordCross can be downloaded for free from the App Store or Google Play. The app is available in English, French, German, Spanish, Portuguese, Italian, Dutch, Swedish, Danish, Norwegian and Finnish. Great game but There is a bug in Lebel 108 in french version. Are you wise as an owl? New level packs available for WordBubbles! Time to prove your history skills! Word Game + Adventure = WordQuest! Ilona von Hohenstaufen on Are you wise as an owl? ShelWhite on Word Game + Adventure = WordQuest! Hashim Ali on New level packs available for WordBubbles! Mary Hernandez on New level packs available for WordBubbles! MilZ on New level packs available for WordBubbles!